If you follow Emirates NBD on Facebook, you might have seen the below video. 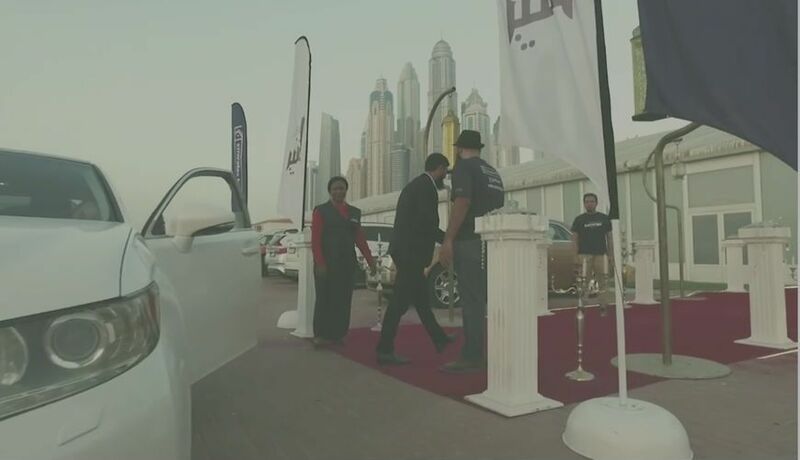 In it, the company shows off an initiative it put together during Ramadan this year, to ensure that the drivers who are a part of the Careem ride-sharing network didn’t have to experience Iftar alone in their cars. We think it’s pure genius, but before we tell you why, it’s worth taking another look at the video. So what makes this initiative so special? Well, here are a few important factors. At a technical level, Iftar (https://en.wikipedia.org/wiki/Iftar) is simply the time when Muslims observing Ramadan break their daily fast. But for most Muslim communities, it’s much more than that. It’s a crucial religious observance and is often done as a community, with people gathering to break fast together. Many Careem Captains miss out on that community spirit because they’re so busy transporting passengers, often to their own Iftar dinners. By bringing the Careem Captains together, Emirates NBD is acknowledging that they’re missing out on an important part of their cultural calendar and that they shouldn’t have to. It’s a pity that Emirates NBD took the lead on this initiative (although Careem would, at the very least, have been aware of what was going on) because it could be a great, if very specific, form of employee engagement. Anyone who’s ever done the kind of work that Careem Captains do knows that it can sometimes be lonely. Even if you’re dealing with people all the time, you don’t really have colleagues that you see on a daily basis. That can be tough, because you don’t have ready access to people who go through the same daily experiences as you, who understand what you go through on a daily basis. By bringing Careem Captains together for Iftar, Emirates NBD didn’t just enable a religious observance, it brought together people with similar experiences, wants, and desires, but who might not get more than a few minutes between rides to talk to each other. Like an increasingly large number of people, Careem Captains operate in the Gig Economy, meaning that they don’t necessarily have the same affiliation to a single company as a traditional employee. There is nothing, after all, to stop them deleting the Careem app and never using it again if a better opportunity comes along. Were this event organised by Careem, it would’ve been a great way to solidify the identity of its drivers, to make them feel like they were a part of something. They would, in other words, feel like part of something larger, with real purpose, rather than just a person leveraging a platform to get by from month to month. While Emirates NBD might have had the noblest of intentions, there’s no doubt that this initiative has netted it a fair amount of positive PR. That’s not necessarily the worst thing. The Careem drivers still benefited. That said, this is a model that could be followed, in private, for its employees. Naturally, it doesn’t have to be exactly the same kind of thing, but an event that’s timely, culturally relevant, and reccognises the challenges faced by an employee is bound to be a winner.